Champorado with Pinipig and Pandan Milk. The classic Champorado was a regular breakfast when I was a kid. 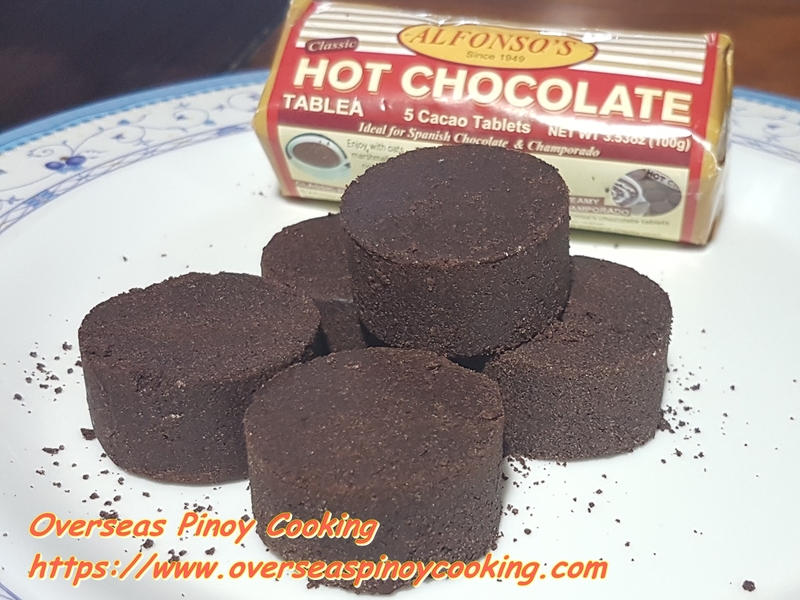 The chocolate ingredient used was either chocolate tablea or cocoa poder. But today I doubt if most of the present generation kids have ever had champorado for breakfast. 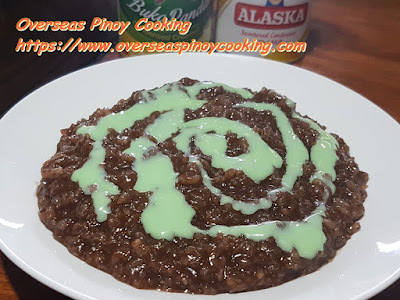 If you search the internet it will return result of Champorado of which are based on few recipes which may have been published by food bloggers when blogging was just starting. 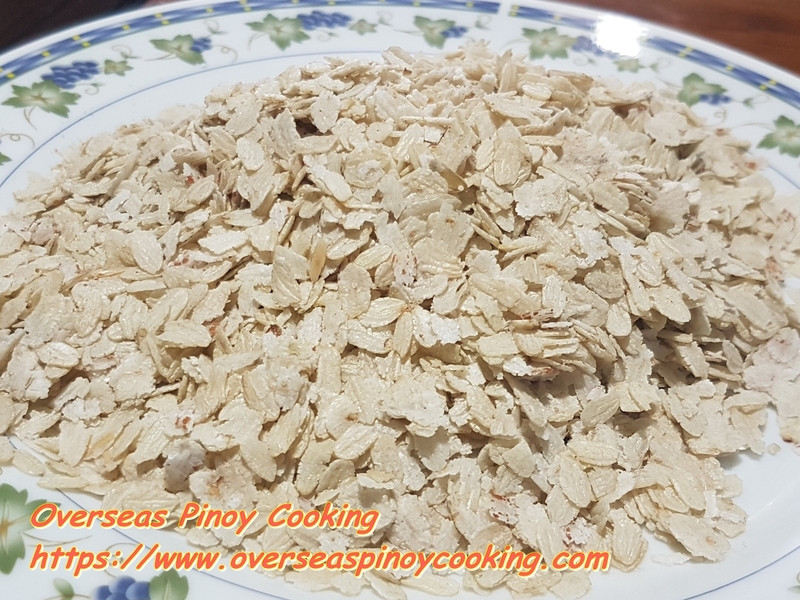 Champorado recipes that you could find are version with concoctions of different salty dried fish usually the classic Chanporado with Tuyo. During my search about Champorado I also come across another Jessica Soho video. It is very informative video if for those looking for some variety of Champorado. For myself, I really not into eating Champorado with salty dried fish. I omitted that part, I tough we could enjoy Champorado better without the distraction from salty tuyo instead concentrate on the rice flavours. There are no hard rules in cooking Champorado, the only set rule is how much Champorado is required for the day’s breakfast which is obviously set by the number of person in a family. 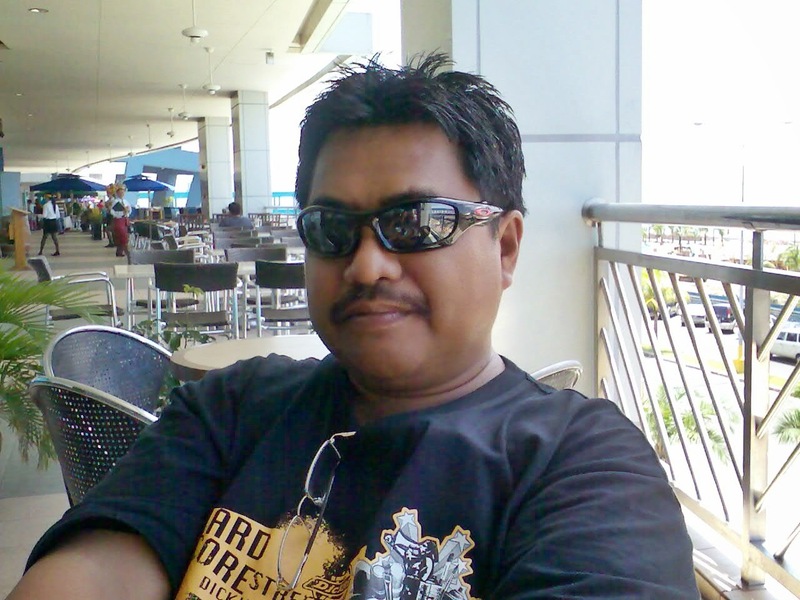 All the other ingredients like the cocoa or tablea and the sweetness can be adjusted accordingly during cooking. Of course the quantity of ingredient should start from the minimum to make room for correction. For our Champorado version, Champorado with Pinipig and Pandan Milk, as the name suggestin addition to the usual glutinous rice ingredients I also added some Pinipig. 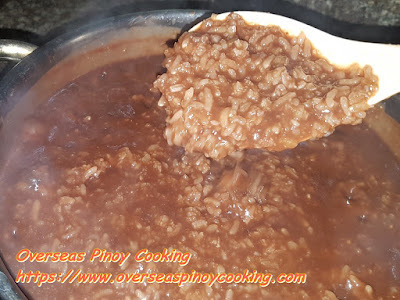 The Pinipig will enhance the already classic rice flavour essence of the glutinous rice, the addition of Pinipig will make sure that the Champorado flavour is not overwhelm by the chocolate flavours. The Pinipig wiil also add that whole grain texture to the champorado. Lastly for my milk I used Pandan Flavoured Condenced Milk. 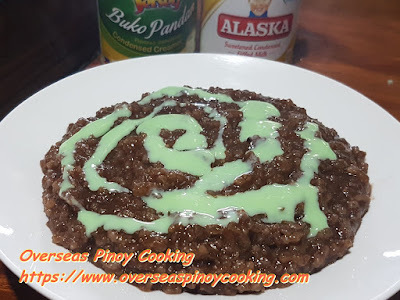 Ok here is the recipe of my version of Champorado with Pinipig and Pandan Milk, try it. In a medium sized sauce pan boil about 2 litters of water, then add in the glutinous rice. Continue to cook at low to medium heat for 10 to 15 minutes stirring intermittently. Now add in the chocolate tablea, sugar and the salt. Continue to cook for 8 to 10 minutes. Now add in the pinipig and continue to cook for 10 to 15 minutes add more water as necessary according to required consistency. Taking in to consideration that rice will continue to absorb liquid even after cooking. 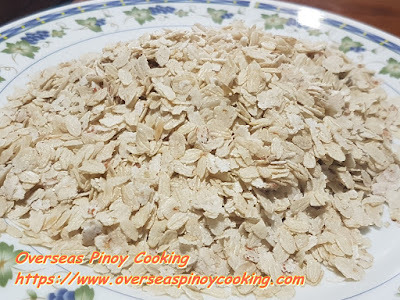 Correct sweetness and cook for another 3 to 5 minutes or until the rice start to disintegrate. 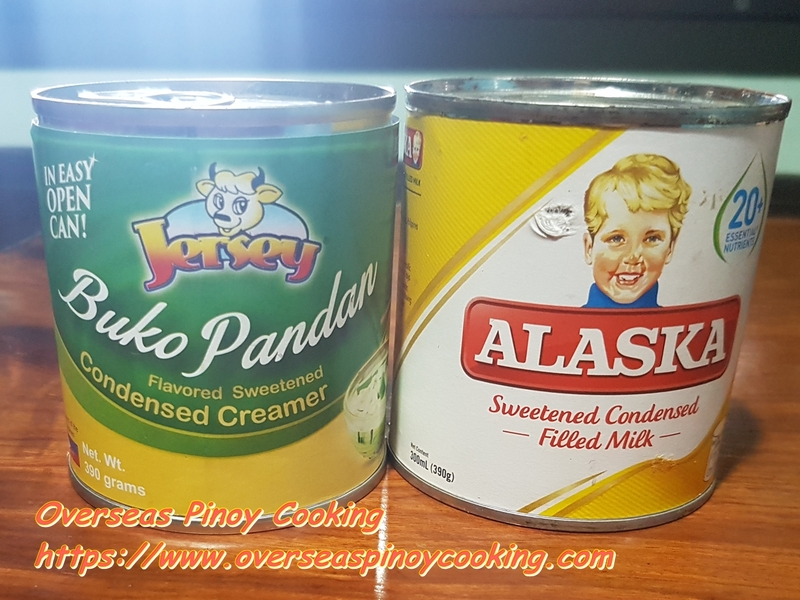 Sweetness should be decided if using evaporated or condensed milk. 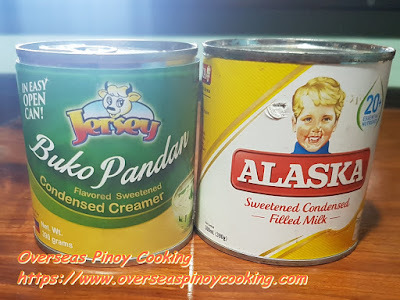 Serve warm in a bowl with pandan flavoured condensed milk topping.